Call it a soup, call it a smoothie, cantaloupe soup is good either way. You can go as simple as pureed cantaloupe, but there’s so much more you can do. Combine all ingredients in your blender and puree until smooth. Chill at least one hour before serving. A banana also goes well in the mix, especially if you think the soup is too thin. Published by Stephanie, in Recipes. 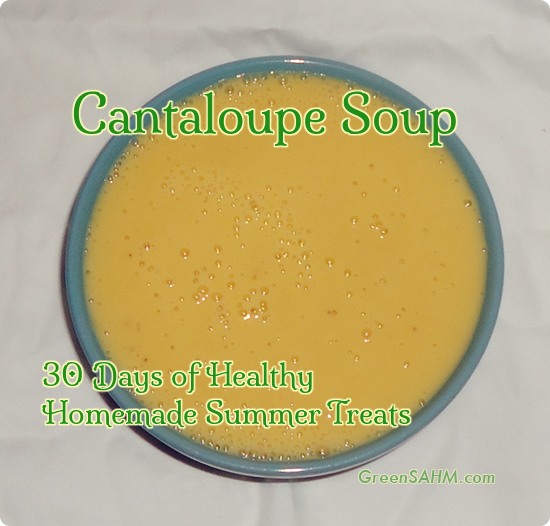 Tagged with 30 days of, cantaloupe, healthy homemade treats, summer.